Private lands are the essential pieces that bind the greater landscape together. Private lands are the foundation of strong, rural communities and are among the region’s most ecologically productive places. 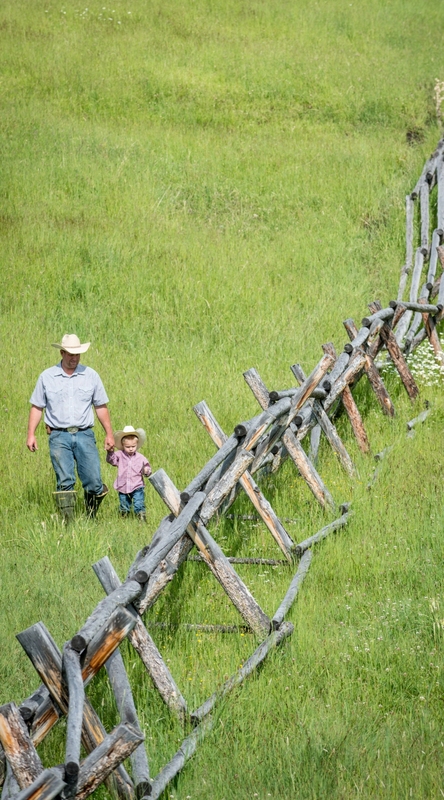 Family farms and ranches are the lifeblood of many rural communities. When ranches are stronger, local communities, the state, and nation are all stronger. Private lands tend to be lower in elevation and higher in productivity, with the best soils and water. Private land tends to be near riparian habitats, with the highest biodiversity. Private land is often the “link” between blocks of habitat, such as national forest, wilderness or roadless areas. Plus, private lands are at the greatest risk for potential harmful development and conflicts with wildlife, as landowners struggle to make ends meet. Our partners focus solely on working with willing landowners to conserve and manage private lands. Private lands are the connective tissue of the landscape, the ligaments and tendons that make it function well as a whole. We will not sustain our wildlife populations by accident. We will have to be deliberate and intentional.